As we creep closer and closer to Mortal Kombat 11’s release, more and more details get revealed. This hypes up the fans and sometimes they get creative in their own way. Twitter user BossLogic has made a name for themselves by creating fan art of various actors and celebrities featured as our favourite video game and comic book characters. Last week, BossLogic released a bunch of new images of Mortal Kombat fan art. Terry Crews as Jax, Chris Pratt as Johnny Cage, Keanu Reeves as Kenshi, and Gal Godot as Kitana. 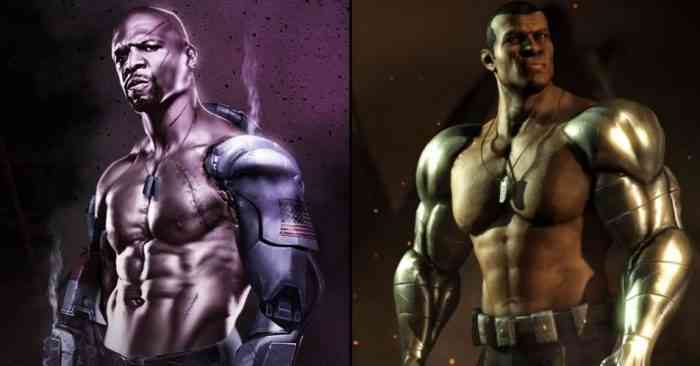 The image of Terry Crews caught the eye of both Mortal Kombat co-creator Ed Boon and the man himself, Terry Crews. Ed Boon retweeted the image, expressing his love for the fan-casting. Then Terry Crews retweeted Boon saying that he “WOULD LOVE TO DO THIS” + fire emojis. Boon is on board, Crews is on board. What are we all waiting for? If NetherRealm has plans for Jax to be in their upcoming game, and no voice actor, they could get Crews to come in and do some VO. If NetherRealm wants to use Terry Crew’s likeness, it’s not as simple as that. Scanning, modeling, and all the other digital imaging that I don’t understand would likely take a while. We’re four months away from the game’s release and it might be too late for all that. DLC maybe? There’s a shot. Mortal Kombat 11 already has Ronda Rousey playing Sonya Blade. Why not expand their cast with more stars? Without sacrificing quality, of course. Terry Crews is starring in Crackdown 3, and he’s a professional actor, so it’s not like it would be a risky move casting him as Jax. What do you think about the fan casting? Let us know in the comments below. And be sure to keep up with all our Mortal Kombat 11 news on our site.